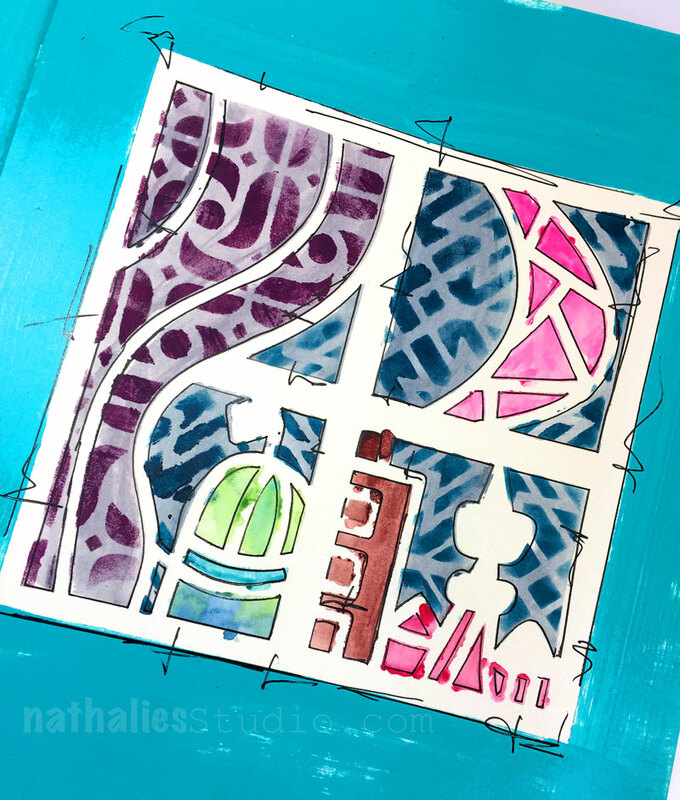 This month in StencilClub, Nathalie Kalbach, is going to show three different projects, which all start with the same technique and build up some more options! Here is a peek of just one of the projects! Need Fragmented for your collection of stencils? Join the club HERE. Woooo ! This is gonna be awesome !